This morning I received a private message from a nail technician who was disheartened by the amount of new clients that do not turn up for their appointments so I thought I would talk about my experience of it today. You could go on forever pondering why they didn't turn up but the reality is, it's them and not you. You haven't even had the chance to show them your skills so never blame yourself. They probably think that this never happens to you, you'll be rush off your feet and glad of a break. They've probably also told themselves that you have a handful of people on chairs in the salon, praying that someone like them doesn't turn up so one of those poor souls can have their appointment. I don't want to group every "no-show" together here but generally, unless it was some sort of true emergency, they're probably not your ideal client anyway. When I worked in the salon I would have people book appointments for two hours time and not show up, there's no excuse for that as far as I'm concerned. You can hardly say that you'd forgotten! Of course you can always set your cancellation policies. Some salons charge a certain percentage of the treatment should the client not turn up. Some insist on a non refundable deposit if the client was to book again. "Hi this is Karen at LiverpoolLashes confirming your nail appointment for tomorrow, Sunday 29th March at 11.15am. I shall look forward to seeing you then!" Anyway, I have good news for you! I found that as time got on and I built a client base, the no-shows became and less and less. 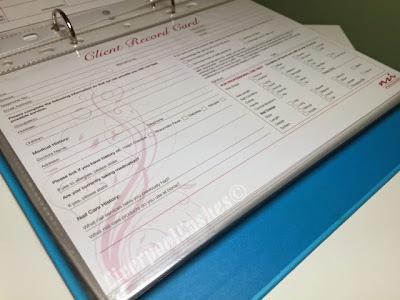 Clients that have been to you before and "know you" will treat you with the respect you deserve and typically message or phone if something comes up and they can't make their appointment, usually with a lot of notice. Also I suppose, although the no-shows are bound to still happen they won't effect your confidence as much as you know at that point that you have a ton of regulars that adore your work! More posts can be found directly under the banner in the 'Advice For New Therapists' tab including posts I've written specifically on building my client base, advertising and much more. To keep up to date on the latest posts, please follow my Facebook page.